Fue realmente un placer ser el destinatario de su visita y sus servicios. AM boarded our air flight LIMA – CUSCO (01 hour trip). A.M. 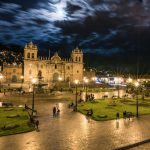 Reception at the airport and transfer to hotel in Cusco, where an aromatic coca-leaf tea for the height of the city will be served, and then you can relax and have lunch before the tour of the city. 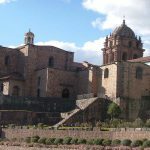 2:00 PM City Tour: We will visit the Temple of the Sun or Koricancha, also visit the nearby ruins 04 city, the Fortress of Sacsayhuaman, Kenko, Puca Pucara, finally “Los Baños del Inca” Tambomachay 6:30 PM Transfer to the hotel. 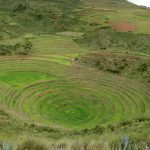 After breakfast, we’ll pick you up between 08:30 p.m. and 09:00 a.m, we’ll start by Corao, then travel over the Vilcanota River for a panoramic view of the Inca citadel of Pisac and visit a typical Indian market of Pisac where we will have the opportunity to learn about the customs of its inhabitants and haggle prices with vendors. Lunch at a local restaurant in the Sacred Valley of the Incas (optional $ 20 USD). In the afternoon, we’ll visit the Fortress and Citadel of Ollantaytambo, built to guard the entrance to this part of the valley and protect it from possible invasion from the tribes of the jungle. 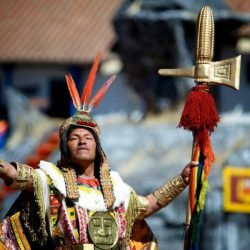 We will have the opportunity to walk on the streets of the town and get a clear idea, religious and cultural center during the Inca Empire was. 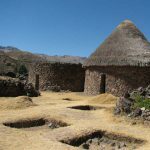 On the way back to Cusco, we’ll visit the picturesque village of Chinchero where there are the remains of the “Royal Hacienda of Tupac Inca Yupanqui”. 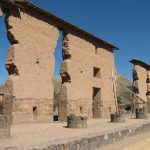 Admire its well preserved Inca Wall in the Main Square and visit the beautiful colonial temple with interesting frescoes on the portico, this temple was built on the foundations of an Inca building. 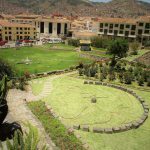 Once the visit completed, we’ll return to Cusco, we’ll arrive to the city at approximately 07:00 p.m.
AM pass through your hotel 30 minutes before the scheduled departure of Cusco, we will take you to the train station located in the town of Ollantaytambo (1 hour 30 minutes away by car) where we board our train and then make the trip with destiny the town of “Aguas Calientes” (2000 m), which runs for 2 hours. Arriving at the train station, our guide will be waiting for us with a sign and our names, with it, he will go to the bus station, to ascend 400 m in height, a zigzag path for 30 minutes to reach the incredible World Wonder: “Machu Picchu Sanctuary”, known as “The Lost City of the Incas”. Once you reached the citadel of Machu Picchu, we’ll pass the control point where you’ll be delivered your entrance ticket, from this place, the guided tour will start, we’ll visit the main venues of the city such as the Main Square, the Circular Tower, the Sacred Solar Clock , the Royal Quarters, the Temple of the Three Windows and Cemeteries, the tour will be for more than two hours. In the afternoon, we’ll take the train back to Cusco (must be in the station 30 minutes before the departure time of your train), the return will follow the same route as the outward journey, arrival at the train station in Ollantaytambo, we will be waiting to take you to your hotel in Cusco (1 hour and 30-minute trip by ca). Taking a good breakfast, we will pick you up from the hotel and take you to the bus station of the company, to take us on a tour that lasts about nine hours, after that we will have 4 excursions and guided tours to the sights of the Southern Corridor of the Plateau, visiting the temple of Andahuaylillas or “The Sistine Chapel of the Americas”, the Inca Temple of Raqchi, at noon in Sicuani included in the tour: buffet lunch, hence we’ll continue the tour reaching Raya Pass at 4,335 masl and Inca-Aymara Museum of Pukara. Each tour lasts 20-40 minutes where the passenger can ask questions, take pictures and walk a bit, making our trips enjoyable. Arriving in Puno, our staff will be waiting for us and take us to the hotel. 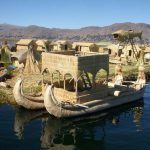 After taking breakfast at the hotel, this will be the transfer to the Port of Puno (Lake Titicaca) where you’ll embark on the boat and then visit the floating islands of Uros for 1 hour and 30 minutes, you will appreciate the customs of this island and crafts. 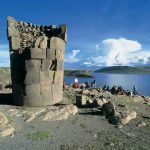 Then, we’ll continue our journey by boat to visit the Island of Taquile, an outstanding natural beauty, ethnic, cultural and archaeological, then we’ll also return by boat to the Port of Puno, there we’ll be picked up taken to the hotel or if you wish, we could leave in the middle of Puno so that we can visit the city. 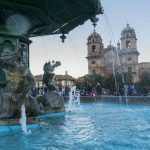 After taking breakfast at the hotel, we’ll depart from Puno towards Chivay at approximately 06:15 a.m; with a duration of approximately 6 hours to Chivay (city where the Colca Canyon is located), known for its religious celebrations, cultural heritage and traditional festivals. You’ll visit 3 locations in the route, Lagoon “Lagunillas”, Pampa Cañahuas, Patapampa and Volcano Viewpoint. Night of accommodation in Chivay. 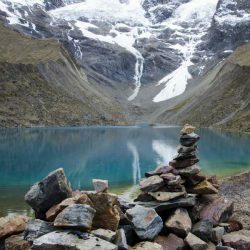 After breakfast, we’ll depart for the “Cruz del Condor”, place where the canyon begins from this point, we will enjoy its depth. 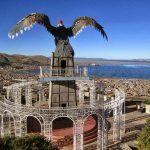 In this beautiful landscape, you will also have the opportunity to view the condor in its natural habitat. 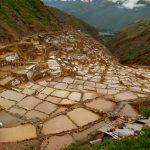 After a brief stop at the “Cruz del Condor”, we will continue our journey through the Colca Canyon admiring the small towns of Pinchocclo, Madrigal, Lari, Maca, Achoza, Yanque, etc. Chiay return for lunch and then, we’ll drive to Arequipa, ending the tour at about 05:00 p.m.
After breakfast at the hotel, our guide will look for you at your hotel to begin the tour of the “White City” including the Convent of Santa Catalina, undoubtedly the gem of Arequipa, was opened to the public in 1970, after having been for 400 years in prison, with countless pieces of colonial art. He will also visit the Main Square, the cloisters of the Society of Jesus and the neighbourhoods of Cayma and Yanahuara for a magnificent view of the Misti volcano and visit a traditional colonial house called the Founder’s Mansion. 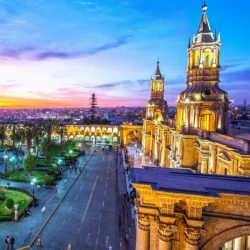 In the afternoon, we will have free time to explore Arequipa on your own, at night we will have the transfer to the bus terminal to board our bus to take us to the city of Nasca (10 hours), the trip will be in a bus with bed service, enough comfortable. Upon arrival in Nazca, our staff will be waiting at the bus terminal and perform the transfer to Nazca airport. 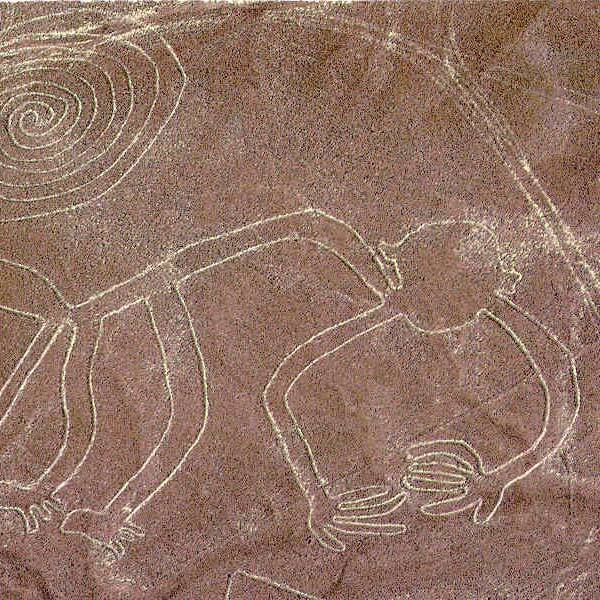 Once there, we will fly over of 45 minutes over the Nazca lines where the ancient pre-Inca drew huge figures of animals and plants with an aim shortage yet, many believe that these figures were made by extraterrestrials. Among which are the monkey, the spider, hummingbird, etc. In the afternoon, we’lll board the bus to the city of Ica (02 hours). 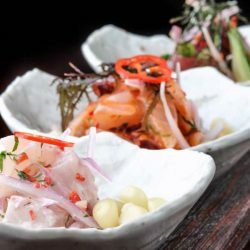 (07:00 a.m to 12:00 p.m), After our breakfast, we’ll travel to the Port of Paracas where we will start the tour to the Ballestas Islands passing through “The Chandelier”. A giant picture on the side of a hill. Arriving at the Ballestas Islands, the different islands will be visited during two hours, watching the different species of sea lions, seals, penguins and seabirds. In the afternoon after lunch, we’ll head to the Oasis of Huacachina which is located only 5 Km. From the center of the city of Ica. 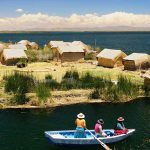 This beautiful lake visitors can enjoy the tranquility of the place and walking around. The huge dunes surrounding the lagoon allow visitors to practise one of the most fascinating sports in the area, on sand table, popularly called Sandboarding. AM pick you up from the hotel to let them transfer to bus terminal to take the bus ICA – LIMA (03 hours). • Original passport and card of migration (TAM). • Use sneakers or light/tennis shoes. • Drink plenty of fluids during your excursions. • Raincoat (long poncho) during the rainy season. • Sunscreen, brimmed hat for sunny days. • Medicine and / or personal items (liquid for contact lenses). • A backpack or lightweight suitcase (no weight limit between 5-6 kilos maximum). • Camera or camcorder and films. • Have on hand checks in small denominations and coins in soles or dollars. • Bathing suit for the hot springs (optional).